Redis Sentinel provides high availability for Redis. If you ever ran SQL Server mirroring or Oracle Golden Gate the concept should be somewhat familiar to you. To start you need to have Redis replication configured with master and N number slaves. From there, you have Sentinel daemons running, be it on your application servers or on the servers Redis is running on. These keep track of the master’s health. Say we have a master “A” replicating to slaves “B” and “C”. We have three Sentinels (s1, s2, s3) running on our application servers, which write to Redis. At this point “A”, our current master, goes offline. Our sentinels all see “A” as offline, and send SDOWN messages to each other. Then they all agree that “A” is down, so “A” is set to be in ODOWN status. From here, an election happens to see who is most ahead, and in this case “B” is chosen as the new master. The config file for “B” is set so that it is no longer the slave of anyone. Meanwhile, the config file for “C” is rewritten so that it is no longer the slave of “A” but rather “B.” From here, everything continues on as normal. Should “A” come back online, the Sentinels will recognize this, and rewrite the configuration file for “A” to be the slave of “B,” since “B” is the current master. The current version of Sentinel is called Sentinel 2. It is a rewrite of the initial Sentinel implementation using stronger and simpler to predict algorithms (that are explained in this documentation). A stable release of Redis Sentinel is shipped since Redis 2.8. 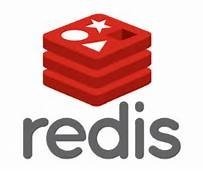 Redis Sentinel version 1, shipped with Redis 2.6, is deprecated and should not be used. When configuring Sentinel you need to take time and decide where you want to run Sentinel processes. Many folks recommend running those on your application servers. Presumably if you’re setting this up, you’re concerned about write availability to your master. As such, Sentinels provide insight to whether or not your application server can talk to the master. However a lot of folks decide to run Sentinel processes in their Redis instance servers amd that makes sense as well. You have to use configuration file when running Sentinel (sentinel.conf) which is separate from Redis configuration file (redis.conf) and this file this file will be used by the system in order to save the current state that will be reloaded in case of restarts. Sentinel will simply refuse to start if no configuration file is given or if the configuration file path is not writable. By default , Sentinel listens on TCP port 26379, so for Sentinels to work, port 26379 of your servers must be open to receive connections from the IP addresses of the other Sentinel instances. Otherwise Sentinels can’t talk and can’t agree about what to do, so failover will never be performed. 1. You need at least three Sentinel instances for a robust deployment. 3. Sentinel + Redis distributed system does not guarantee that acknowledged writes are retained during failures, since Redis uses asynchronous replication. However there are ways to deploy Sentinel that make the window to lose writes limited to certain moments, while there are other less secure ways to deploy it. 4. You need Sentinel support in your clients. Popular client libraries have Sentinel support, but not all. Basically. Initial setup expects all nodes running as a master with replication on, with manual set slaveof ip port in redis-cli on futire redis slaves. Then run sentinel and it does the rest. 1. The configuration file must be the last parameter of the command line. If another parameter was last, such as –service-name, it would run fine when invoked the command line but would consistently fail went started as a service. 2. Since the service installs a Network Service by default, ensure that it has access to the directory where the log file will be written.